Those pipes, soaked in honey, liquor and life, have always sounded well beyond her years since we first heard them on her debut album, 2005’s A Change is Gonna Come. 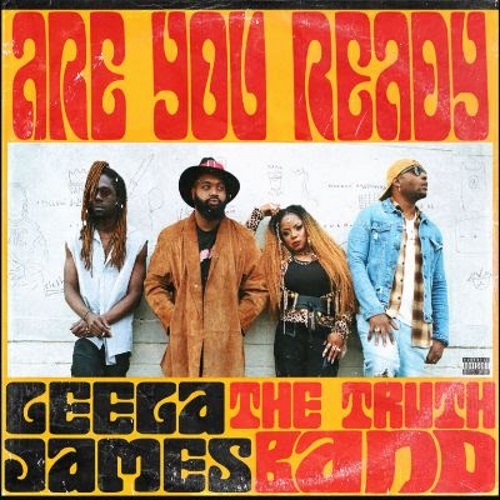 That is still the reaction many have when they hear James – who at a still very young 35 - has dropped the first track from her upcoming EP, Are You Ready, while fronting the hard driving blues/rock band Leela James and the Truth Band. The tune, titled “That Woman,” is a straight rocker of the type that legends like Tina Turner would have torn up back in the day or that a James contemporary such as Liv Warfield sings right now. Well, James proves that as a rock singer she can stand toe to toe with anybody. The raspy growl that she displays as she tears through this anthem of defiant self-worth is on par with any you have heard from any female rocker. The track finds James breaking it down to a man who needs to be educated on how to treat a woman. Now, a little about the band that performs with James on “That Woman” and the other four tracks on this EP: James scored top flight musicians who tour with A-list talent such as the late, great Prince, Kendrick Lamar, Ariana Grande and Gwen Stefani when she joined forces with guitarist Jairus “JMo” Mozee, bassist Eric Ingram and drummer David “Dae-Dae” Haddon.